I didn't read the small text to notice that this was a memoir of sorts. All I saw was 10% Happier. It seemed intriguing and realistic. So I took it home. For me and probably other Christians generally, meditation has always been mixed with prayer for me. But quiet thoughtfulness is different than meditation. Pondering I guess is the word I would use—thinking, feeling, working something out in your mind. Meditation is trying to be silent though, to not think about problems or anything. 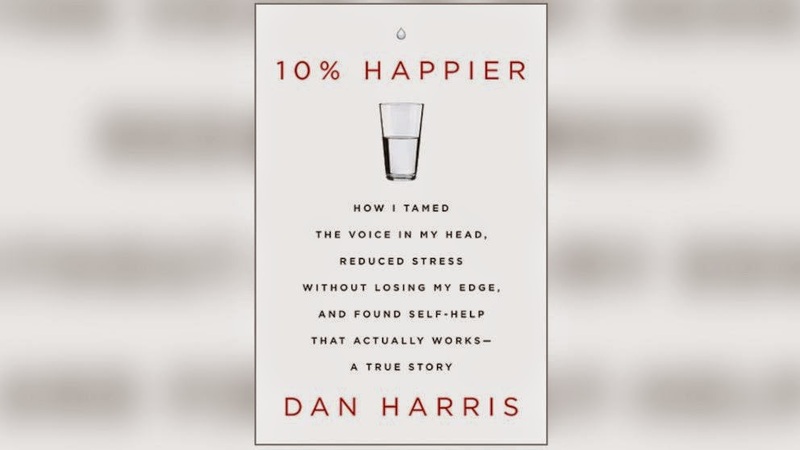 I appreciated Harris' descriptions of this, as well as his honest description of dealing with different 'gurus' or perspectives on mindfulness. I feel like I need to try meditating, to give it ten minutes a day for a month, and see if it is a positive experience for me. I'm fairly sure, based on science and common sense, that it would be good. Maybe I'll report back. Here is a basic guide to meditation. So, fellow Mormons, do you meditate? How do you feel about adding Buddhism to your Christian faith? Share your experiences, please.